It's a cold and rainy Saturday. I'm just happy it's not snow! For breakfast I had an egg, 100 cal. 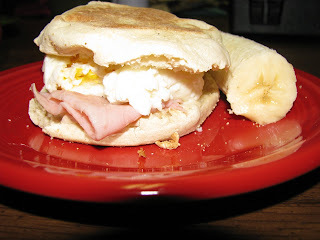 English muffin, 1 slice ham, and 1/2 laughing cow cheese wedge. I also had 1/2 banana and 8 oz. 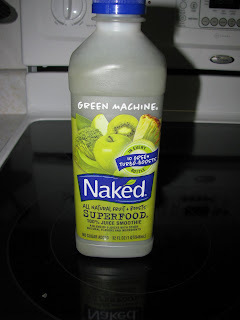 Naked Juice Green Machine. 7.5 Pts. I cleaned the house in the morning and did some laundry. 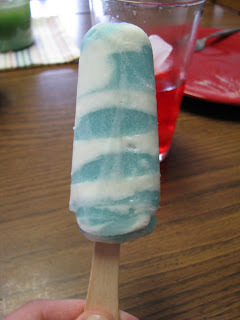 Then for lunch I had 6 fish sticks, tartar sauce, frozen corn from the cob, and a raspberry swirl bar. 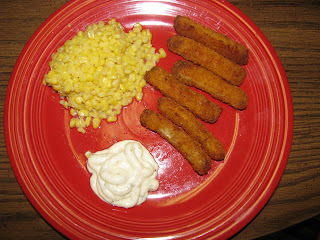 The fish sticks were the ones I picked up at Sam's Club the other day. They are delicious and crunchy. 1 pt. per stick. 9 Pts. total for lunch. After lunch we headed over to my husband's parents because we had a lot of boxes, etc. left over from when we built our garage that is kind of hard to send out in the trash. They had a fire going and we burned it all, they live in the country. We can't really do that here in town! 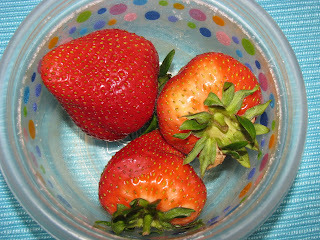 When we came home I was a little hungry so I had 3 strawberries for a snack. 0 PTs. 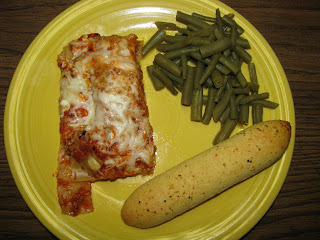 We ate an early supper of homemade lasagna, green beans and a cheese bread stick. 9.5 PTS. 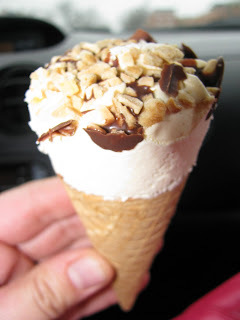 We grabbed a Schwann's cone from the freezer that we ate on our way to get some groceries for the week. 5 PTS. 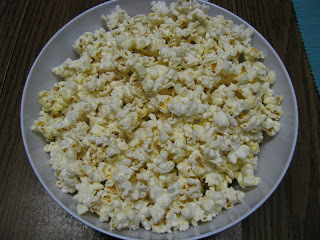 Then we came home and rented Yes Man, and I ate Jolly Time Healthy Pop Kettle Corn and some diet pop. 1 pt.